The Williams Institute has released a report summarizing academic studies and other documented evidence of employment discrimination based on sexual orientation and gender identity, and the negative impact such discrimination has on lesbians, gay men, bisexuals and transgender (LGBT) people. Although sexual orientation and gender identity have no relationship to workplace performance, during the past four decades a large body of research using a variety of methodologies has consistently documented high levels of discrimination against LGBT people at work. “This research shows that LGBT employees who have experienced employment discrimination, or fear discrimination, have higher levels of psychological distress and health-related problems, less job satisfaction and higher rates of absenteeism, and are more likely to contemplate quitting than LGBT employees who have not experienced or do not fear discrimination,” says Ilan Meyer, study co-author and Williams Institute Senior Scholar of Public Policy. Results from the 2008 General Social Survey (GSS) provide recent evidence of discrimination from one of very few national probability surveys that have collected data about sexual orientation and workplace discrimination. Among LGB respondents to the survey, 42 percent had experienced employment discrimination at some point in their lives, and 27 percent had experienced employment discrimination just during the five year period prior to the survey. GSS data further show that employment discrimination is more common among LGB employees who are open about their sexual orientation in the workplace than among those who are not — 38 percent of employees who are out in the workplace had experienced discrimination in the five year period prior to the survey, compared with 10 percent of those who are not out. “This new data shows that it’s still risky to come out about being LGBT in the workplace,” said study co-author Christy Mallory, Legal Fellow. These results are consistent with findings from other recent studies that reveal a continuing pattern of employment discrimination against LGBT people. In several studies from 2010 and 2011 that report data on transgender people separately, the rates of discrimination are even higher. Recent research also reveals the negative impacts of discrimination against LGBT people. Because of discrimination, and fear of discrimination, many LGBT employees hide their identities, are paid less and have fewer employment opportunities than non-LGBT employees. “Research shows that LGBT employees who have experienced employment discrimination, or fear discrimination, have higher levels of psychological distress and health-related problems, less job satisfaction and higher rates of absenteeism, and are more likely to contemplate quitting than LGBT employees who have not experienced or do not fear discrimination,” says Ilan Meyer, Williams Senior Scholar of Public Policy. “In contrast, supervisor, coworker, and organizational support for LGB employees was found to have a positive impact on employees in terms of job satisfaction, life satisfaction, and outness at work,” Meyer said. 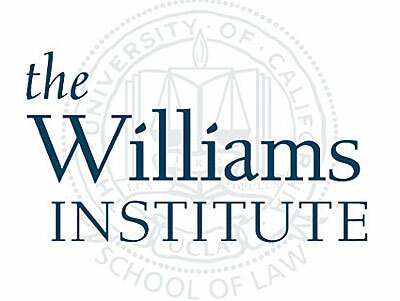 The Williams Institute is a national think tank at UCLA School of Law, and advances sexual orientation law and public policy through independent research and scholarship, and disseminates it to judges, legislators, policymakers, media and the public. The full study is here (PDF).